AC Milan have signed Fabio Borini from Sunderland on a year-long loan that includes an obligation to purchase the player on a permanent deal. The move means Borini will depart Sunderland after two years, having joined the club on a permanent basis from Liverpool in 2015 a year after a successful loan spell. Borini is the fifth signing made by Milan in a busy summer. 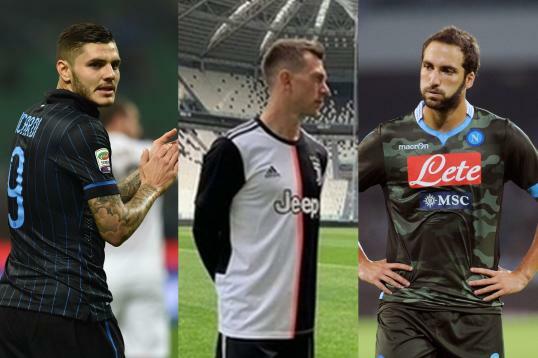 Already the Italian giants have added Mateo Musacchio, Ricardo Rodriguez, Andre Silva and Franck Kessie to their squad for the 2016-17 season. Of all the acquisitions made, the one of Borini is the most surprising, as the Italian has struggled to find his best form in the Premier League. Borini moved to Chelsea as a youngster before briefly returning to Italy, where he joined Parma before being immediately loaned to Roma. He impressed with the Giallorossi, and Liverpool moved to sign the striker in 2012. At Anfield, Borini failed to show much, and in 2013-14 he was sent out on loan to Sunderland, where he helped the team avoid relegation with seven top-flight goals. However, after joining the Black Cats on a permanent deal in 2015, he only netted six times in the Premier League in two seasons. Fabio Borini to undergo medicals with Milan tomorrow. Montella likes him as a utility sub since he can cover three roles in the attack. With the Rossoneri, Borini will need to work hard and show a lot more class than he has in the last two seasons at Sunderland. Getting minutes ahead of the likes of Suso and Silva will be a big challenge for the ex-Liverpool man. No longer a young player with potential, Borini is in what should be the peak years of his career. If it doesn't work out for him at Milan, it's a struggle to see quite where he goes from here.